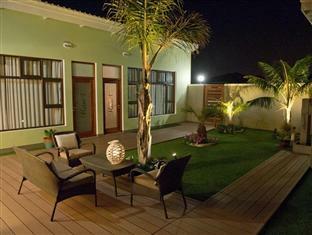 ﻿ Namib Guesthouse Swakopmund. JIMAT di Agoda.com! Ada soalan mengenai Namib Guesthouse? Terletak pada kedudukan yang baik di Kramersdorf, Namib Guesthouse adalah tempat yang sesuai untuk memulakan lawatan anda di Swakopmund. Dari sini, tetamu boleh menikmati akses mudah kepada semua yang bandar meriah ini boleh tawarkan. Dengan lokasi yang mudah, hotel ini memberikan akses mudah ke tempat yang anda perlu lawati di bandar. Namib Guesthouse juga menawarkan banyak kemudahan untuk memperkayakan penginapan anda di Swakopmund. Untuk menamakan beberapa kemudahan di hotel ini, terdapat Wi-Fi percuma dalam semua bilik, kemudahan bagi tetamu kurang upaya, Wi-Fi di tempat awam, tempat letak kereta, pemindahan dari/ke lapangan terbang. Hotel-hotel telah direka demi keselesaan dan memudahkan tetamu. Sebahagian bilik menyediakan televisyen skrin rata, internet tanpa wayar (percuma), bilik tidak merokok, meja, televisyen. Hotel ini menawarkan kemudahan hebat, termasuk taman, untuk membantu anda berehat selepas hari yang penuh aksi di bandar. Kemudahan yang hebat dan lokasi yang sangat baik membuatkan Namib Guesthouse menjadi asas yang sempurna untuk menikmati penginapan anda di Swakopmund. Spotless; great food; wonderful staff. Absolutely lovely! Would stay again! This was by far our best Guesthouse (not lodge) in Namibia: it's a small but very cosy guesthouse with excellent rooms and a very generous breakfast Location is near perfect: everything is in walking distance and there is ample (guarded) parking in front of the GH. Will definitely return during my next visit to Swakopmund!! Stay at the Namib Guesthouse was Superb. 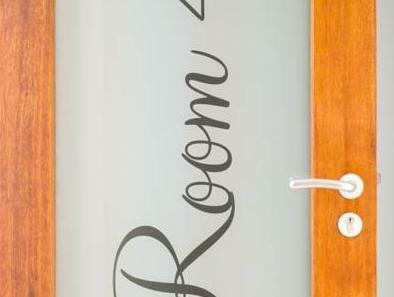 Very clean rooms, attentive and friendly staff. I will recommend this hotel. Friendly, welcoming staff. Beautifully decorated. Relaxing atmosphere. I would definitely recommend this place! The rooms and living areas are beautifully decorated, like a real oasis in the desert. A great place to come back to after a long day of activities, because of the comfortable, relaxing atmosphere. Nice extras like a night guard to watch guests' vehicles. Superb staff, especially the very friendly manager. Is higher prize bracket but due cleanliness room, size, decorattion as well attentive owner and staff we had a very enjoyable stay. I had a very relaxing stay and unfortunately never quite made it up in time for breakfast so I can't say what that would be like - however given the attention to detail in the guest house I'm sure it would have been lovely. The only downside for me was the lack of fan/air conditioner as I did find that my room got a bit too stuffy for me. The rooms were very nice and the security was great so you felt completely safe. Also, was easy to walk to the Jetty and other restaurants. Would definitely stay again unless I wanted to be totally on the beach. The staff was very friendly and helpful! The lady at the front desk (unfortunately can't remember name) helped us reserve sandboarding, kayaking with seals, ATVing and gave us numerous recommnedations for both activities, restaurants and stores. The rooms were beautifully decorated, clean and well maintained. Breakfast included a great spread with the option for freshly cooked eggs! Couldn't have been a better stay! a good recommendation if you are travelling by car. nodern rooms with style and good beds, free wifi, great staff and a good breakfast buffe make me recommend this one in contrast to some old school hotely or worn out but also cheper guethouses. Free wifi and nice rooms.2mins to the beach by car. Angenehmer Aufenthalt, Mitarbeiter gaben Tips zu Restaurants und Verkehrsmitteln, Zimmer und Anlage waren neuwertig. Gutes Preisleistungsverhältnis. Entfernung zum Zentrum war o.K., ca. 800 mtr. Angenehmer Aufenthalt, schönes Zimmer, einzig das Bad ist etwas in die Jahre gekommen. Alle waren jederzeit super hilfsbereit, das Auto wird nachts bewacht und da wir früh wegmussten haben wir sogar früher Frühstück bekommen. wir haben zwei Nächte im Namib Guesthouse verbacht und uns rundum wohl gefühlt. Die Zimmer sind mit Liebe zum Detail eingerichtet und sehr sauber. Man hat sich rührend um uns gekümmert, tolle Tipps gegeben und das Frühstück war wirklich sehr gut. Soggiorno piacevole. Tipologia struttura B&B. Ottima colazione. Buon punto di appoggio per effettuare le escursioni disponibili nella zona, struttura a breve distanza dal centro città di Swakopmund. Wij verbleven in Namib Guesthouse van 7jan t/m 1O jan 2014. Het Guesthouse is heel goed gelegen, rustig en toch op wandelafstand(10 min) van het centrum en de zee. Het personeel is heel behulpzaam en vriendelijk. De kamers zijn perfect in orde en heel proper! Een echte aanrader!Minpuntje: "de tijd gaat er veeeeel te snel :)"